If your Client has a gateway set up, you can enable a specific application for users instead of deploying full Cloud Desktop for them. The way it works is that after logging in, only the selected application will open for user directly without accessing the full desktop. 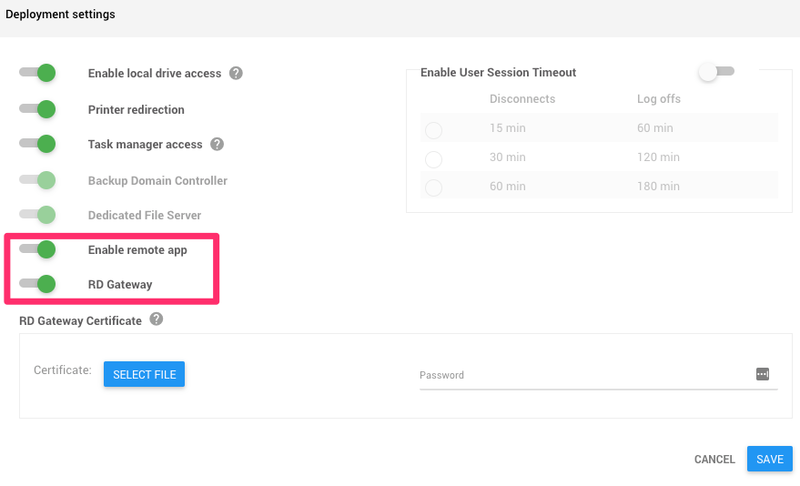 First requirement before enabling the remote app is to have RD Gateway. 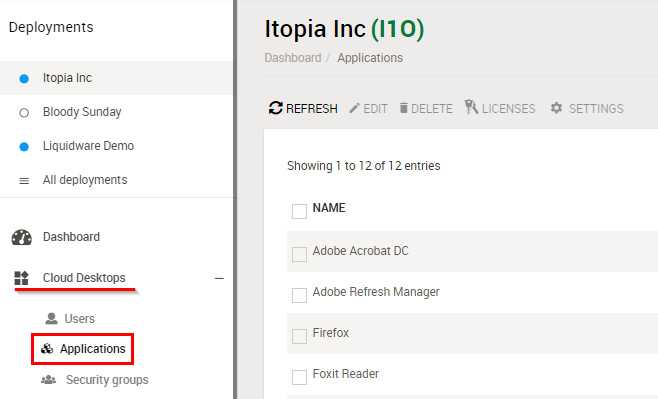 In the portal, select the deployment and open the deployment settings by hitting the gear on the top right of the dashboard. Then make sure “RD Gateway” is enabled. If it's not and you need to enabled it for already existing deployment, please contact support. 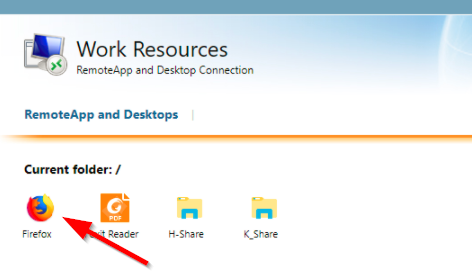 Once the gateway and Remote app are enabled for the client as described above, you can continue to Applications module. Select the application you want to enable for remote access and make sure it's installed in the server. The app will appear with a blue dot under the status. 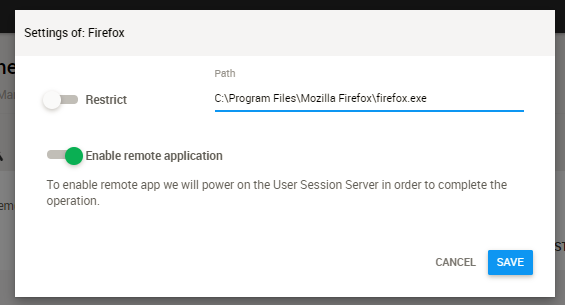 Then provide the path to the location off the application executable file as if you were restricting the app but the restriction doesn't have to be on. Click the gear icon to access app settings. You will get the settings window where you can enable the remote app. If the app is not restricted, provide the path to the executable file as in the below example. The path to the executable file is needed to run the application. Enable the remote application and Save the settings. 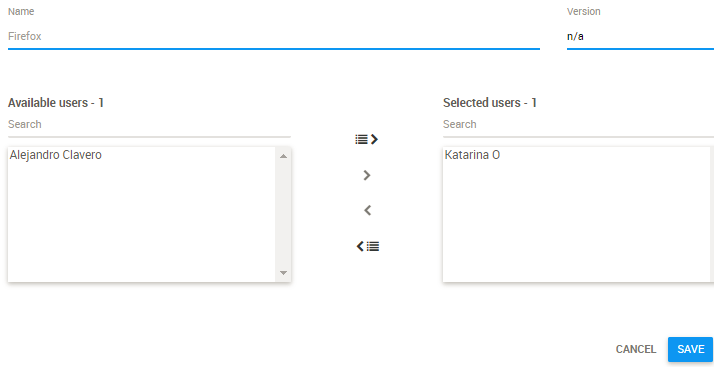 After they are applied, assigned users will access the application via the web link. The link will consist of the gateway address /RDWeb.